The journal aims to promote young researchers and their work to the attention of an informed public, national and international level, by placing the issue in the international databases, to the extent that it proves to be a product with a high scientific content. 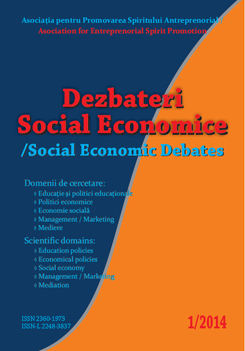 Social Economic Debates is an open access journal which means that all content is freely available without charge to the user or his/her institution. Users are allowed to read, download, copy, distribute, print, search, or link to the full texts of the articles in this journal without asking prior permission from the publisher or the author. This is in accordance with the BOAI definition of open access.